NEXT | What was your favorite Legion moment? Wisdom does not mean infallibility. 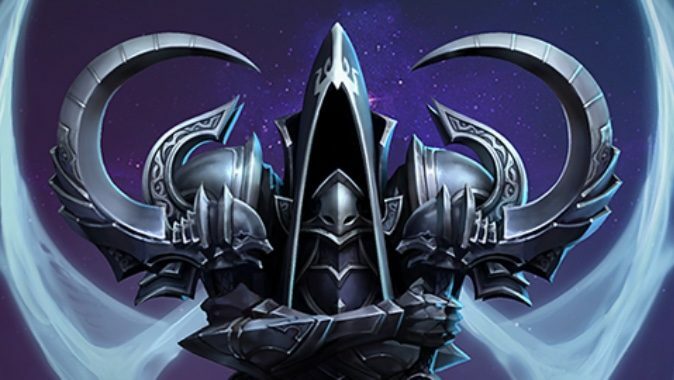 No being in creation encapsulates this fact more than Malthael, the Archangel of Wisdom, who abandoned Heaven and his position to embrace a power he did not understand and could not truly embody. An immortal being, he called himself the Angel of Death. He sought to strike down the humans of Sanctuary because he believed with their deaths the Eternal Conflict between Heaven and Hell would finally be over, with Heaven the victory. To accomplish this aim, he sought the corruption of Heaven, waged war on the Pandemonium Gate and went so far as to take the essence of the Seven Evils into himself. 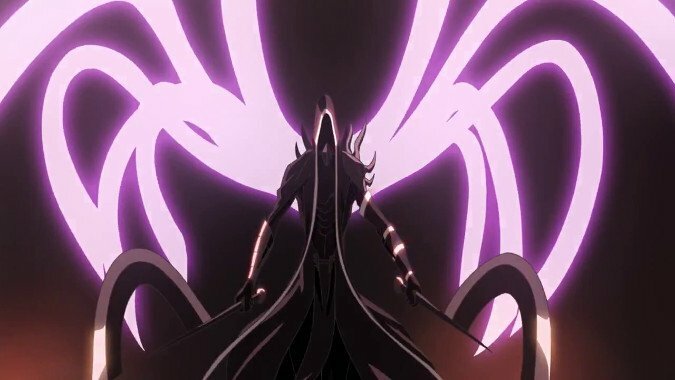 Like all Archangels, Malthael embodied a concept. 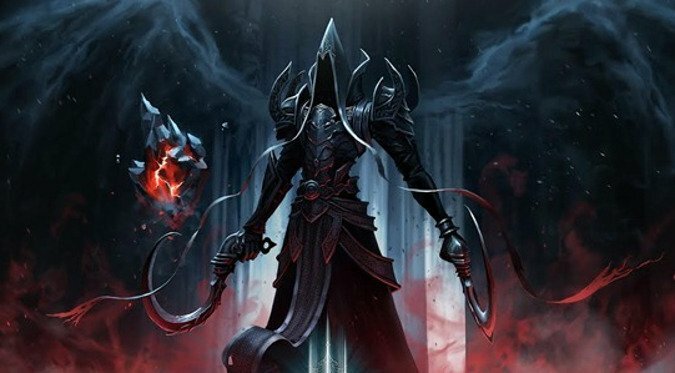 But as the Necromancer Ordan stated, Malthael ultimately failed not because of the wisdom at his command but rather his unwillingness to seek balance between light and dark, good and evil. Indeed, Malthael saw the very idea of striving for balance as unnatural. The human ability called free will, the capacity to choose between good and evil, struck the angel as abominable. And so he waged war on Sanctuary, on humanity, and even his own kind. As the Angel of Death, he sought to bring death to the descendants of Angels and Demons that had become mortal humanity, seeing it as the true path to victory in the Eternal Conflict. The origins of Malthael are the origins of all Angels — born out of the Crystal Arch that was all that remained of the Diamond Warrior Anu who battled Tathemet before creation, he embodied Heaven’s Wisdom in thought and action. Like all Angels, the Lightsong kindled Malthael as one of a limited number, an embodiment of lost Anu’s power and glory. While Demons are beings of chaos, dissonance and madness, Angels are creatures of order, harmony and enlightenment — but they can also be rigid and unyielding. All Angels revered the Worldstone, but Malthael more than most — it was Malthael who gave this name to the Eye of Anu. Whenever Heaven would temporarily take possession of the Pandemonium Fortress and lay claim to the Eye, Malthael would come and study it. His affinity with the Worldstone was great, his communion with and understanding of it profound. For most of the Eternal Conflict, Malthael was considered the leader of the Angiris Council. As Wisdom, his voice was heeded and respected by all Angels. Although the Council was one of equals, it may be said that Malthael was first among them. When Inarius and Lilith stole the Worldstone and used it to create Sanctuary, hiding from both Heaven and Hell, Malthael sought the location of the Worldstone avidly. Yet when Sanctuary was finally discovered and the Council voted on whether or not Humanity would be destroyed, Malthael surprised his fellows by abstaining. He neither voted to destroy them nor to spare them, and in so abstaining handed the decision to Tyrael, whose vote to spare humankind left Imperius fuming. We may never know why Malthael abstained on this vote that decided Humanity’s fate. It certainly wasn’t out of any great love for them. Even after the ancient Sin War was over and the Angiris Council had made the pact to leave Sanctuary alone, Malthael was obsessed with the Worldstone. He also seemed to grow more and more interested in humanity, but his ends were not clear at the time. Journals found by the Nephalem as they marched through the Pandemonium Fortress reveal that Malthael found humanity disquieting, and their free ability to choose between good and evil revolting. As Malthael saw it, while humans could choose, the fact that they had demonic forebears meant that they were always likely to be corrupted by lust, greed, a desire for power, and their own fears and wants. Malthael believed free will of the sort humans possessed to be a cosmic mistake. In his view, Angels and Demons didn’t choose, and that was the proper order of creation. A mixture of Angel and Demon had to his eyes created something inherently flawed and corrupt, because Demons were embodiments of corruption. This view took Malthael time to attain, and it wasn’t of any great concern to him until the destruction of the Worldstone. When Tyrael destroyed it to prevent the corruption caused by Baal from spreading, he caused many things. His own violent destruction for example, as well as the return of the Nephalem legacy to certain humans. It also struck a blow to Malthael. The Archangel of Wisdom could not, for all that wisdom, understand the destruction of the Worldstone or the strange sour, discordant notes he was hearing in the cosmos. Setting out from Heaven, he eventually found his way to Pandemonium. There, he discovered a void where the Worldstone had sat for so long. And around that void he found the souls of the dead — mortals who’d been drawn to the place where the artifact of Anu that had birthed their world had once been. Studying the souls of the dead that now inhabited the Fortress, Malthael came to believe that mortality was inherently flawed. Because it died, and the paradox of free will was even more dangerous than it appeared. It was bad enough for any being to be able to choose between good and evil, order and chaos. It was far worse for beings that only existed for a few moments to have that choice, because their demonic heritage and fear of death would always push them towards evil. He grew convinced that Death itself was the solution to the problem of mortality. More so, that it contained the secret to ending the Eternal Conflict once and for all. And so Malthael watched. He watched and learned of Zoltan Kulle’s Black Soulstone, that could absorb the souls of Angels or Demons, and which proved powerful enough to capture all seven of the Evils in one. He watched as Diablo used the power of all the Evils to invade Heaven itself. He watched as the Nephalem, a mortal, struck down Diablo and the Black Soulstone came to rest in Heaven. And as he watched, he planned. With the Evils defeated, the Hells in disarray, for once Heaven had the upper hand in the Eternal Conflict. Malthael saw this as an opportunity, but he wasn’t blind to the fact that the human beings of Sanctuary were both a threat and an opportunity. 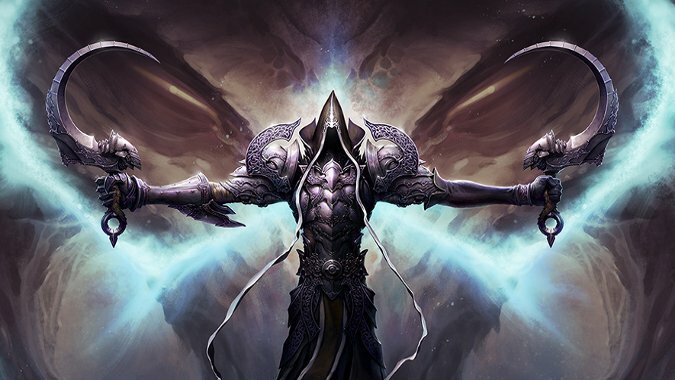 If a Nephalem could defeat Diablo while wielding the power of all Seven of the Evils, what would they become in time? What choices would they make, when all their choices were inherently corrupt by their own demonic blood? And so, Malthael began recruiting allies — his own former servant Urzael, who’d been sent by the Angiris Council to find him, and a host of Angels called Maidens who pledged themselves to his service. Next week, Malthael’s plan, the rebellion of Balzael and the ultimate battle with Death.